Press Release From: Analytical Graphics, Inc.
Analytical Graphics, Inc.'s (AGI) Commercial Space Operations Center (ComSpOC) is demonstrating unparalleled commercial innovation in the swift and accurate tracking of the inaugural launch of a new, more capable Chinese rocket with two apparent payloads, one of which is the reported Shijian-17 experimental satellite. This display of technological readiness and responsiveness utilizing varied sources of commercial sensor data, bolsters the growing awareness that commercial space situational awareness (SSA) services provide a viable source for monitoring activities in space. While the Long March 5 launch timing and trajectory were potentially challenging for traditional SSA sensors, the ComSpOC's unique capability to utilize commercial sensors quickly produced extremely precise tracking of the space objects. ComSpOC integrated optical data from commercial partners, including ExoAnalytic Solutions, which it fused and processed with other sensor types to detect, track and characterize the Chinese experimental mission, ensuring safety of flight and providing indications of anomalous or unexpected performance. The processing engine utilized by the ComSpOC, AGI's SSA Software Suite, enables complete fusion of all sensor phenomenologies, including passive radio frequency (RF), optical telescopes and additional radars. The SSA Software Suite, numerically validated by the U.S. Air Force, produces high definition ephemeris (HiDEph) to develop a very accurate orbit. The orbit data the ComSpOC produced for the Long March 5 launch showcases the responsiveness and flexibility of its sensor network and data processing engine to respond to challenging space missions. Additional Note from AGI: AGI's Commercial Space Operations Center (ComSpOC) is actively tracking China's Long March 5 launch, and the apparent two payloads entering orbit. This is, in part significant as press releases prior to the launch reportedly only registered one payload- the Shijian 17 experimental satellite. The characterization of the second object is still unknown, however COmSpOC has identified both objects making deliberate maneuvers. While these could be related to early orbit operations, the objects are in very unique & unusual orbits for typical operational spacecraft. ComSpOC, a fully-commercial SSA processing engine is utilizing commercial data providers to monitor, with speed and incredible accuracy, the progress of this mission. ComSpOC operators will be available to answer any questions and provide updates as this develops. 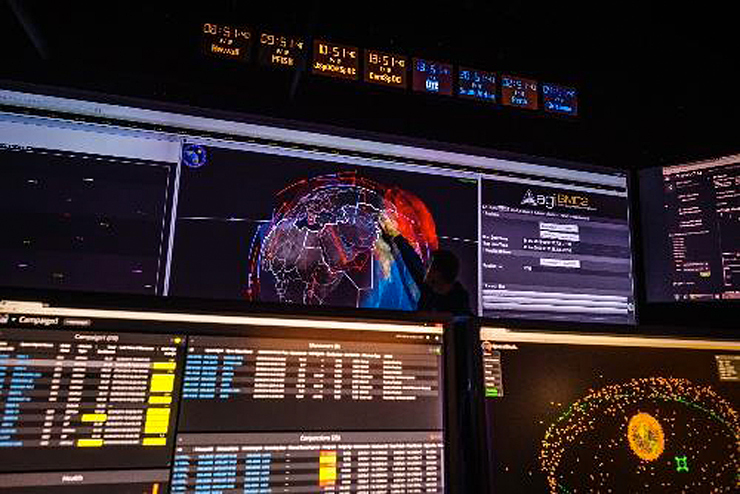 In 2014, AGI established a Commercial Space Operations Center, which was subsequently incorporated as ComSpOC Corp. ComSpOC Corp. is an AGI affiliate. ComSpOC fuses satellite-tracking measurements from a geographically diverse set of optical, radio frequency (RF), radar and space-based sensors to generate HiDEph and other SSA data products. These results are available via subscription to the next-generation space catalog, SpaceBook™, which currently includes over 9,000 space objects, and 100% of all GEO objects. For more information, visit www.comspoc.com .